Very Good. My Little Pony: Meet the Princess of Friendship (Passport to Reading Level 1) by Rosen, Lucy. Trade paperback (US). Glued binding. 32 p. Contains: Unspecified. Passport to Reading Level 1. Intended for a juvenile audience. Good. 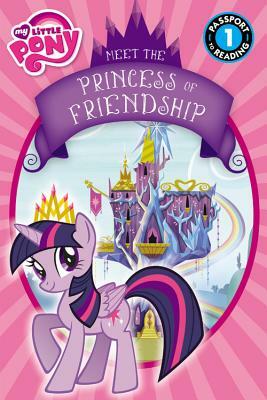 My Little Pony: Meet the Princess of Friendship (Passport to Reading Level 1) by Rosen, Lucy. Trade paperback (US). Glued binding. 32 p. Contains: Unspecified. Passport to Reading Level 1. Intended for a juvenile audience. Very Good. 0316282308 Ships from Tennessee, usually the same or next day.